Dawn Hall has lived in Pagham for 34 years and runs her own small business. She is married to a retired local businessman and has three grown up sons and four grandchildren. 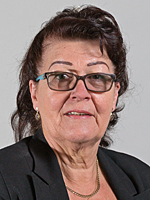 Dawn has been involved in local government for 18 years as a District and Parish Councillor.